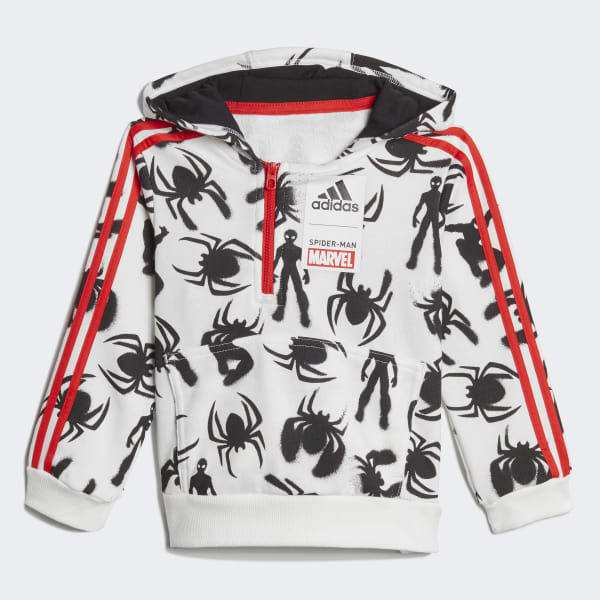 A jogger set for tiny superheroes in training. Fit for little ones as they build their strength, this toddlers' jogger set has a half-zip jacket and pants with a drop crotch for extra comfort. The pullover jacket features a kangaroo pocket in front and a breathable mesh-lined hood. Spider-Man graphics and a Marvel logo celebrate everyone's favourite superhero.